The Smith Museum and Art Gallery in Stirling have an excellent exhibition and events programme. David R. Ross, convenor of the Society of William Wallace, has commemorated the memory of Wallace, by walking from Robroyston near Glasgow, to London, on the 700th anniversary of the events of Wallace's death. On David's arrival in London a Service of Commemoration, organised by the Society of William Wallace, was held in St Bartholomew's Church on 23rd August 2005. 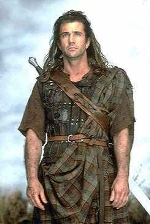 The William Wallace Heritage Trust Lanark have arranged events to commemorate the 700th anniversary of the death of Sir William Wallace, culminating in the 'Homecoming' weekend of 10th/11th September 2005.